Call from Whitehaven Police regarding shouts for help and whistles from the Screes. Informant was at the Wasdale Youth Hostel. This report was quickly followed up by further 999 calls from two others with mobiles, who reported they could hear shouts that someone was unconscious, reason unknown. 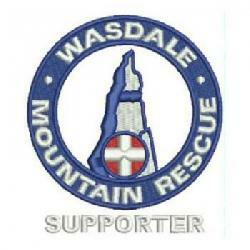 14 members attended and carried the woman (in her twenties) off the scree path and into the team’s boat. She was transferred across the lake to a waiting ambulance and taken to West Cumberland Hospital. She had suffered a "funny turn" and been unconscious/unresponsive for about an hour, although when treated by the team she was conscious although very cold. The lady had experienced similar symptoms before. Members were back at base and Mill Forge closed by around 2000 hrs.